In today's fast paced world, you have to innovate just to stay in place and not be left behind. To leap ahead of your competition takes disruptive and radical innovations. What drives innovative ideas? How can you translate these ideas into real value? What are the keys to actually capturing that value? These are just some of the key questions we will address in the 2017 INSEAD Alumni Forum Americas. Both renowned INSEAD faculty and leading entrepreneurs and business executives will help us dive into and walk away with new insights on driving innovation. Bio: Alex Hutchinson is a game designer, writer and director. Most recently he was Creative Director on Far Cry 4 and Assassin's Creed III, and was previously Lead Designer on games such as Spore and The Sims 2. Games he has directed have sold in excess of 30 million copies and picked up various trophies including the odd BAFTA and AIAS award. Originally from Australia, his ongoing quest for increasingly hostile climates means he currently lives in Montreal. 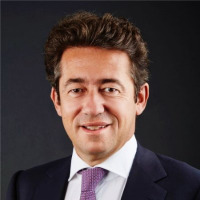 Bio: Charles-Edouard Bouée, a French national born on May 17th, 1969, is CEO of the Global Executive Committee (GEC) and also directly supervises the firm's Asian business. He is a seasoned expert in strategy, reorganization, post-merger integration, and has a deep knowledge of disruptive innovation, new technologies and digital transformation. Charles-Edouard joined Roland Berger in 2001 as a senior partner in the Paris office, where he led the financial services and energy & utility competency centers, in addition to the firm's private equity practice. He became president and managing partner of Roland Berger's China office in 2006 and head of the Asia leadership team in 2009, responsible for the consultancy's activities across its presence in the continent (Greater China, Japan, South Korea and Southeast Asia). Charles-Edouard returned to Europe in 2010, where he assumed responsibility within the GEC for France, Belgium, Italy, Spain and Morocco. He was appointed COO in 2013 and elected CEO of Roland Berger by the partnership in 2014. Prior to joining the firm, Charles-Edouard worked as vice president for a large American strategy consultancy in Paris between 1997 to 2001, having also begun his career as an investment banker at Société Générale. In addition to a Master's of Science from École Centrale de Paris, Mr. Bouée earned an MBA from Harvard Business School and a Master's degree in Law from the Université Paris Sud XI. Charles-Edouard Bouée is involved in various business and community organizations in Europe and China and has authored a number of seminal books on modern management and China. He is also one of only a few thousand foreigners to hold a Chinese green card. Charles-Edouard currently works out of Roland Berger's offices in Munich, Shanghai and Paris. 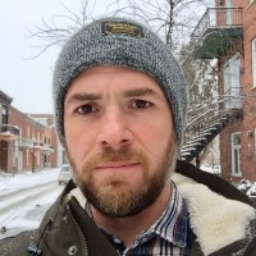 Bio: Dan is author of the Amazon best-seller “Flat Army: Creating a Connected and Engaged Organization” and is also Chief Envisioner of TELUS Transformation Office; an organizational culture change consulting firm. Previously he lead the leadership development, learning and collaboration technology strategy at TELUS where he introduced the TELUS Leadership Philosophy (TLP), an open and collaborative-based leadership framework for all 40,000+ TELUS employees in addition to a litany of social tools and the pervasive learning model. Employee engagement improved from 53% to 83% over five years. A renown speaker and practicing futurist, Dan believes today’s organizations can be so much more if only they thought about employee engagement first. Bio: Eric Fournier joined Moment Factory in 2007. As partner and Executive Producer he has, among other accomplishments, developed the studio’s strategic vision, which not only helped increase the company’s employees going from 15 to more than 200, but also worked towards opening new studios in Los Angeles, Paris and London and establishing its reputation as a world leader in the industry. Previous to joining Moment Factory, Eric was Vice-President of New Ventures and member of the executive committee at Cirque du Soleil where he supervised the development of Entertainment, Music, Television and Cinema activities as well as Events and Other products activities. He was also Vice-President of strategic planning at Bombardier where he actively took part in the company’s expansion and overall positioning as a world leading manufacturer in train equipment. Eric detains an MBA from McGill University and a BAA from the University of Quebec in Montreal. He is part of the board of directors of the Montreal Art Counsel and of the Montreal Metropolitan Chamber of Commerce. Bio: Independent and restless, Ethan has founded and collaborated in an array of creative and entrepreneurial endeavors. He is the CEO and Co-founder FRANK & OAK where he handles the member shopping experience, products development, marketing and sales. Originally from China, he has since worked on most continents with particularly remarkable stints in Shanghai, Paris and Vancouver. He has experience in the technology, alternative energy and retail/fashion industries. He is passionate about the unique cross road between design and technology… art and science. Bio: Peter is a recognized leader in business turnarounds. Since 1983, he has completed seven turnarounds of distressed branded businesses in the global media and consumer products sectors. From 1999 to 2009, Peter played a lead role in the turnaround of Marvel Entertainment Inc. (NYSE-MVL). As President and CEO, he led Marvel, post bankruptcy, to a prominent position in the entertainment industry. He then served as Vice Chairman of the Board, providing active strategic leadership as Marvel continues to grow into one of the world’s leading entertainment brands. This culminated in its $4.5 billion sale to Disney at the end of 2009. Forbes Magazine called Peter one of the ten best turnaround CEO’s in America. At present, Peter is Executive Chairman for Iconix Brand Group (NASDAQ). Having finished eight months as interim CEO in April 2016. Previously, Peter was President and CEO of Remington Products Company. He joined the company as it was near bankruptcy and, in less than four years, executed a successful turnaround of the business and facilitated its sale to private equity investors. 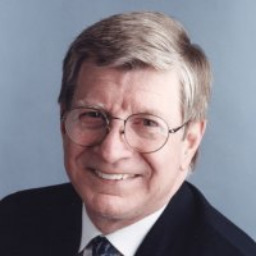 Peter has also served as President of the Security Hardware Group of the Black & Decker Corporation, President of Bristol-Myers Squibb Pharmaceutical Group in Canada and President of the Clairol Personal Care Division. Peter is currently the Managing Principal of Cuneo & Company, LLC, a private investment and management company, in which his sons, Gavin and Colin are partners. Cuneo & Co. is focused on making investments in private companies within the consumer, retail and entertainment oriented industries. Some current investments include: Valiant Entertainment Inc. (comic book character based entertainment), Herotainment, LLC (online and mobile gaming based children’s entertainment), West World Media Inc. (entertainment exhibition data aggregation), and RangeWorks, LLC (multimedia producer of western American entertainment) among others. 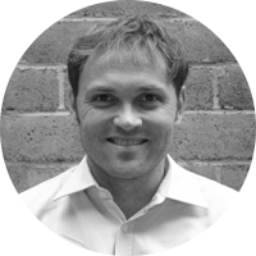 Peter, Gavin and Colin hold board seats on most of Cuneo & Co.’s portfolio companies and work actively with their management teams. Many of Peter’s past and present business interests involve investments and markets in China. Peter has made over 50 trips to Asia since 1985. In recent years, Peter has also served as senior advisor to a large distressed and special situation hedge fund coinvesting in select private companies in the consumer and media sectors. He is currently or has been a board member of public and private companies such as Marvel Entertainment Inc. (NYSE-MVL), Iconix Brand Group (NASDAQ-ICON, Chairman of the Audit Committee), WaterPik Technologies Inc. (NYSE-PIK, Chairman of the Audit Committee) and Remington Products (private). Peter currently sits on the Board of the Foundation for the National Archives in Washington, DC as Co-Head of the Development Committee. He previously was Co-Head of the Nominating Committee. Peter served two tours as a Lieutenant in the U.S. Navy in the Vietnam War. He was Damage Control Officer and then Communications Officer on the USS Joseph Strauss (DDG-16) a guided missile destroyer. He received his MBA from Harvard Business School and holds a B.S. in Glass Science (Ceramic Engineering) from Alfred University, where he has served on the Board of Trustees since 1990. Peter recently completed six years as Chairman of Alfred’s Board and was awarded an honorary doctorate degree in 2013. Peter has made numerous speeches on turnaround leadership throughout the world. He has often appeared on business-oriented cable television. Bio: Hubert Bolduc holds a Bachelor’s degree in Political Science from Université du Québec à Montréal, a Master’s degree in Communication from the University of Stirling in Scotland, and an MBA from HEC Montréal. In January 2016, Hubert Bolduc was appointed President and CEO of Montréal International, an organization whose mission is to attract foreign investment, international organizations and strategic talent to Greater Montréal. Before becoming the head of Montréal International, Mr. Bolduc worked as Deputy Secretary General, Government Communications, Ministère du conseil exécutif, and as an international affairs manager for Investissement Québec. From 2004 to 2012, he was Vice-President, Communications and Public Affairs, at Cascades. He also worked as an advisor to the Québec Premier from 2001 to 2003, as an advisor for public relations firm NATIONAL from 1998 to 2000 and as a communication lecturer at UQAM. Mr. Bolduc has served as Chairman of the Board of Jour de la Terre and Chairman of the Board of Manufacturiers et Exportateurs du Québec, and Vice-Chairman of the Board of the Fondation de l’Entrepreneurship du Québec. He also sat on the Board of Directors of the Board of Trade of Metropolitan Montréal, Fondation de l’UQAM and Forces Avenir. He has been presented with the Prix Reconnaissance award by Université du Québec à Montréal and the Prix Relève d’excellence award, Large Business category, by Réseau HEC Montréal. Mr. Bolduc also made Marketing Magazine’s 30 Under 30 list in 2001. Bio: Professor Ilian Mihov was appointed Dean of INSEAD on October 1, 2013. Prior to his appointment as Dean, Professor Mihov served as Interim Dean and as Deputy Dean for Faculty and Research. 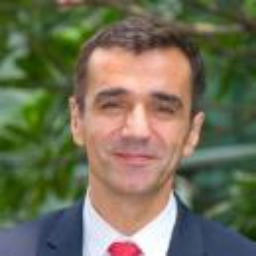 Professor Mihov joined the INSEAD economics area in 1996. He has taught macroeconomics and econometrics in the MBA, EMBA, PhD and many executive education programmes as well as in the Global Leadership Fellows Programme of the World Economic Forum. He has been nominated several times as one of the best teachers in the MBA and EMBA programmes and has won the Outstanding Teacher Award multiple times. His research is on topics related to monetary policy, fiscal policy and economic growth. He is also a research fellow at the Center for Economic Policy Research (London, UK) and a vice president of the Asian Bureau for Finance and Economics Research (ABFER). He was a member of the Scientific Committee of the Banque de France's Research Foundation (2002- 2010) and of the Advisory Board of the Bulgarian National Bank. In 2010/11 and 2011/12 he served as a member of the World Economic Forum's Global Agenda Council on Fiscal Crises. Professor Mihov's papers have appeared in many academic journals including the American Economic Review and the Quarterly Journal of Economics. He has given interviews for BBC, CNBC Asia, Agence France Presse, Dow Jones Newswire and many other newspapers and magazines. Professor Mihov is a regular keynote speaker, lecturer and panellist at events organized by the PwC, WEF, KPMG, Hewlett-Packard, Bloomberg, Swiss Re, Alstom, Deutsche Bank, BNP Paribas and other companies. He holds a PhD degree from Princeton University and a B.S. in business administration from the Moore School of Business at the University of South Carolina where, in 2006, he was recognised as a Distinguished Young Alumnus. Bio: Jean-Francois Gagné is the co-founder and CEO of Element AI, a new Montreal startup factory developing solutions and spinoffs to solve companies AI challenges. A seasoned entrepreneur, he also founded and successfully exited two companies in AI and Operations Research. As CEO of Planora, he led the company efforts to bring to market a highly disruptive SAAS solution in the extremely competitive Workforce Management space by combining an innovative blend of AI, Machine learning, Operation Research and User Experience. He then went on to become the youngest global C-Level Executive of a top-20 Enterprise Software company, as CPO and CIO at JDA Software, where he managed a portfolio of 100+ products and 1400 developers in more than 20 offices worldwide. He has represented Canada as a Technology Investment Champion Speaker for Global Affairs, and has spoken at AI conferences for Top Level management. Bio: Jeremy Barnes is a Montreal-based engineer, researcher and entrepreneur in the domain of artificial intelligence. 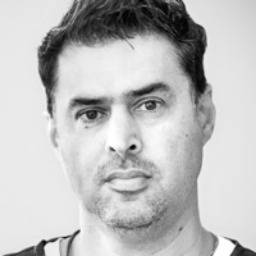 Since arriving from Australia in 2001, he has founded and served as CTO and CEO of several companies in AI, including Datacratic and mldb.ai. He's currently the Chief Architect at Element AI, where he is responsible for building out the core artificial intelligence platform. Bio: Ludo Van der Heyden has been Professor of Technology Management at INSEAD since 1988. He is actively teaching in the MBA, Executive, and PhD Programmes. He holds the INSEAD Chair in Corporate Governance. He is actively contributing to the MBA, Executive and PhD Programmes, and is the Academic Director of INSEAD's Corporate Governance Initiative and co-Director of the International Directors Programme, and the Value Creation for Owners & Directors. Ludo Van der Heyden was until recently the first holder of the Solvay Chair of Technological Innovation. He also was the first holder of the Wendel Chair in the Large Family Firm at INSEAD, which initiated INSEAD's activities in family business. The Chair led to the creation of the Wendel international Centre for Family Enterprise at Insead. Family Business represents the second facet of his INSEAD academic contribution. He has been awarded the Mercurius Award from the Fedis Association (Belgium) for his work with Professor Arnd Huchzermeier (WHU, Koblenz) on the introduction of the Euro. He received with M. Pich and N. Harlé the ECCH European Case Award 2003 for the "Marks & Spencer and Zara" case. At INSEAD, he has earned several Outstanding MBA Core Teacher Awards, as well as the Outstanding Service Award in Executive Education. Ludo Van der Heyden has been co-Dean of INSEAD (1990-1995) and Director of the INSEAD Zentrum Leipzig (1994-1999). Before joining INSEAD, Ludo Van der Heyden was on the faculty of the School of Organization and Management at Yale University (1980-1988) and of the John F. Kennedy School of Government at Harvard University (1978-80). He holds an Engineering Degree in Applied Mathematics from the Université Catholique de Louvain (1974) and a PhD Degree in Administrative Sciences from Yale University (1979). He is the first Honorary Professor of the Handelshochschule Leipzig, from which he also received the distinguished Service Medal in 2003, and also is an Honorary Alumnus of INSEAD (awarded 2000). He is since 1996 an Officer of the Order of Leopold, (Kingdom of Belgium). He has published in journals such as the International Commerce Review, the Family Business Review, the Harvard Business Review, the Journal of Economic Theory, Mathematics of Operations Research, and the International Journal of Game Theory. He is member of the Supervisory Board of Bencis Capital Partners (for Fund I) and a member of the Adivsory Board (for Funds II and III). He also is a member of the Supervisory Board of Seisquare. He is Vice-President of the Association Pôle Sud Paris which fosters economic development in the South Paris area and Secretary General of the Scientific Committee of the Comité pour la Langue du Droit Européen. Bio: Neely H. McNulty joined the Hood Museum of Art in 2008 as the Images and ArtStart Instructor. She oversees and teaches the museum’s multiple-visit school programs for regional children. Neely holds a Masters of Art Therapy from the School of the Art Institute of Chicago, and a B.A. from Princeton University. 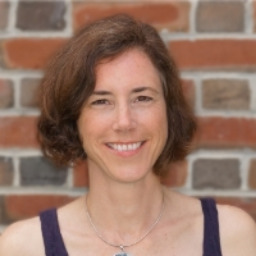 Previously, Neely taught at Lesley University and worked for years as an art therapist. More recently, she oversaw all children’s art programming at the League of New Hampshire Craftsmen. 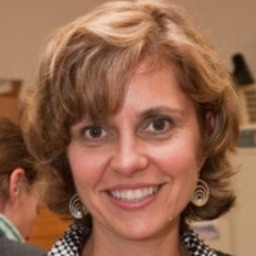 She is also a current member of the National Art Education Association. Bio: Renée Mauborgne is a professor of strategy, distinguished fellow, and co-director of the INSEAD Blue Ocean Strategy Institute. She is the co-author of Blue Ocean Strategy, which has sold over 3.6 million copies, is being published in a record-breaking 44 languages, and is a bestseller across five continents. Mauborgne is ranked in the top three of The Thinkers50 listing of the World’s Top Management Gurus. 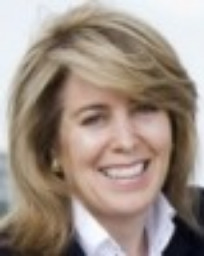 She is the highest placed woman ever on Thinkers50 and is the recipient of numerous academic and management awards including the Nobels Colloquia Prize for Leadership on Business and Economic Thinking, the Carl S. Sloane Award by the Association of Management Consulting Firms, the Leadership Hall of Fame by Fast Company, and the Eldridge Haynes Prize by the Academy of International Business among others. Mauborgne is a member of President Barack Obama’s Board of Advisors on education and a Fellow of the World Economic Forum in Davos. Bio: Robert (Rob) Dewar was appointed to his current position as Vice President, C Series Aircraft Program, Bombardier Commercial Aircraft in April 2010. As part of Bombardier’s mandate for flawless execution, Mr. Dewar leads the teams responsible for the overall C Series aircraft product development, design, and integration, as well as production, certification, delivery, quality, schedule and cost. Boasting a 20-year career with Bombardier, Mr. Dewar has held several key positions in engineering and in various product development programs most recently as Vice President C Series Integrated Product Development, having originally joined the C Series aircraft program as Director of Product Definition at the very onset of the program in May, 2004. Mr. Dewar is an integral member of the leadership team responsible for successfully bringing the game-changing C Series family of aircraft to market. His role is key in ensuring customers’ requirements and business case objectives are met. A long time aviation enthusiast, Mr. Dewar graduated from Montreal’s McGill University with a degree in Engineering, specializing in Aerospace Structures and Combustion. Mr. Dewar began his aviation career in 1986 holding key positions over the years in both a product development capacity and sustaining program capacity for major aircraft manufacturers including Airbus Industries, Alenia, and Embraer. A native of Montréal, Québec, Mr. Dewar resides with his family in the Montréal area - where he is currently based. Bio: San Rahi leads Global Development at SID LEE STUDIO, where he builds compelling business opportunities across all offices in the fields of content, technology and live experiences. He also oversees direct client relationships that include Boeing and Samsung. Formally trained in architecture, San is passionate about helping global brands participate in culture and shape markets by positively impact our lives. He has spent 20 years working with some of the world’s largest brands to create business and marketing opportunities where content, technology and built environments intersect. His clients have ranged from global consumer products and automotive to sports and entertainment brands. An award-winning Creative Strategist, San’s previous agency role was as Head of Content Development for Dentsu / Americas & Europe, developing original content and technology for global consumer brands including Canon, Coca-Cola and Toyota. He was also Creative Director and Founder of Think Creative, an Emmy-award winning branded content agency. Before joining SID LEE, San was working in enterprise technologies, as CMO of a Marketing Analytics company backed by Discovery Capital and PNC Bank. An articulate thought-leader with a track-record of digital innovation, San is a member of the Television Academy and the Director's Guild of America, sits on the Executive Board of Hatch and has taught Marketing at Carnegie Mellon University Heinz College and SCI-Arc. Bio: Dr. Black is Professor of Management Practice in Global Leadership and Strategy at INSEAD. He specializes in leadership, strategy, change, globalization, and stakeholder engagement. 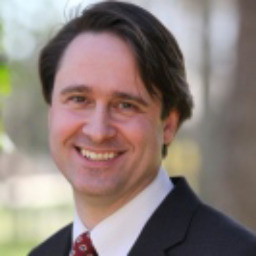 Stewart Black is co-directing the Leading Successful Change programme. Across his career Dr. Black has lived and worked in Europe, Asia, and North America. During that time he has worked with over of 10,000 executives, helping them develop themselves and their organizations. Much of this work has been with senior teams as they determine strategic direction, identify needed culture and leadership capabilities to implement their strategies, and aligning systems and processes to support the organizational transformation. In addition, he is frequently a keynote speaker at conferences and events on the topics of leading change, organizational culture, global leadership, innovation, and strategy. He is the author or co-author of over 100 articles and cases. His research has been published in the most respected academic journals, such as Academy of Management Review, Academy of Management Journal, Journal of International Business Studies, as well as in practitioner oriented journals such as Harvard Business Review, Sloan Management Review, and Human Resource Management Journal, and he has published articles in and had his work featured in a variety of newspapers and magazines such as Financial Times, The Wall Street Journal, and BusinessWeek. He is frequently sought out by and appeared in both print and live media. He is the author or co-author of 18 books, including best selling textbooks, including Management: Meeting New Challenges, Organizational Behavior, and International Business Environments: Text and Cases, as well as books written for practicing executives, such as Failure to Globally Launch, It Starts with One: Changing Individuals Changes Organizations, The Global Leadership Challenge, and International Assignments: An Integration of Research and Practice. Dr. Black received his undergraduate degree in psychology and English from Brigham Young University, where he graduated with honors. He earned his master degree from the business school at Brigham Young University, where he was on the dean’s list and graduated with distinction. After graduation, he worked for a Japanese consulting firm, where he eventually held the position of managing director. Dr. Black returned to the U.S. and received his Ph.D. in Business Administration from the University of California, Irvine. Dr. Black started his career on the faculty at the Amos Tuck School of Business Administration, Dartmouth College. Later he was a professor of business administration at the University of Michigan and Executive Director of the school’s Asia Pacific Human Resource Partnership. 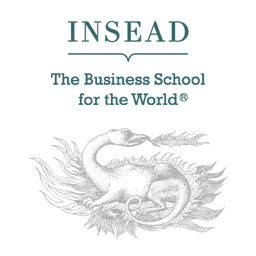 Prior to rejoining INSEAD, Dr. Black was Professor of Global Leadership and Strategy at IMD. At INSEAD Dr. Black served for four years as Associate Dean of Executive Development Programs for the Americas, as the founder and program director of Learning to Lead and Leading for Results, and as the program director for a variety of company-specific programs including, Astra Zeneca, Ciba, Ernst & Young, Lexmark, HSBC, IFF, Jones Lang LaSalle, Manpower, National Commercial Bank of Saudi Arabia, Nissan, NYSE, Rio Tinto, Siam Cement, Shell, Takeda Pharmaceutical, Toshiba, Western Union among others. Bio: Vivian Ladd has been museum educator for over 30 years and a museum education consultant since 2006. She has designed programs for many museums including the Hood Museum of Art at Dartmouth College, the Toledo Museum of Art, and the Museum of Fine Arts, Boston. She holds an M.A. in Art History and has presented at conferences organized by the New England Museum Association, the National Art Education Association, and the American Association of Museums. Her work has involved academic and public audiences, docents, medical and business professionals. She has written publications for adults, children, teachers, students, and families. She is most proud of the work she has done at the Hood Museum developing a methodology called “Learning to Look” that teaches visitors of all ages and abilities how to look carefully, think critically, and appreciate great works of art. Bio: Professor Zemsky has been part of the INSEAD leadership team since 2010. He has had global responsibility for Faculty and Research, Degree Programmes, IT and Digital Communications, and the development of the school’s Middle East campus, as well as serving as Acting and Interim Dean of the school. He led the creation of the school’s Degree Programmes department, dramatically growing the EMBA programme especially in Asia and the Middle East, and created an MBA period in Abu Dhabi. As the Deputy Dean he is actively involved in external relations especially in Europe. He currently leads the Executive Education department and is responsible for the school’s digital strategy including the development of its online education offerings and capabilities.